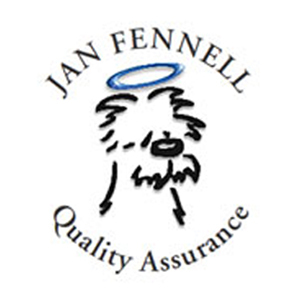 Isn’t it though!….When I first came across Jan Fennell’s powerful method of Amichien Bonding the results were remarkable – 10 years and 1000’s of dogs later they still are…I LOVE my job! 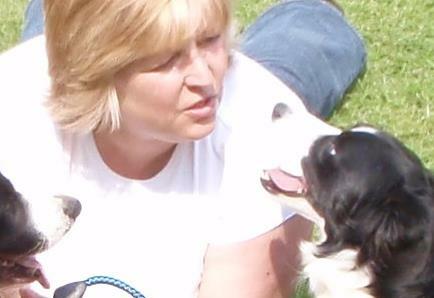 Never before has there been a more effective way of working with your dogs own nature to defuse any unwanted behaviours. If barking, aggression, fears, chewing or any other behaviour is unacceptable to you and is causing your dog to be stressed, this remarkable method of teaching your dog that they aren’t necessary will be for you. There are only 2 ‘gadgets’ we use, the one between the dogs ears and the one between yours. When we tap into the correct way of thinking there’s a world of opportunity to help us teach our dogs get it right without using fear, force or any invented gadget by humans. Really? You bet! Willing co-operation is very powerful and correctly targeted it reaches many issues other professionals struggle with. Well…. we all know we should but if you have a dog that’s wrecking your home, is terrified or aggressive it can be a real headache if everything you’ve tried doesn’t work. You need specialist help. When we take steps to solve our issues correctly our world becomes a happier place for us and for our dogs. We all would like to have happy, relaxed dogs; our dogs would like to have happy, relaxed owners so let’s get you both happy and stress free. I come to your home and your dogs’ natural environment. Anything else and they’ll behave differently. I want you to be completely happy and always in control of any situation. Together we address what’s important to you, what’s important to your dog and I give you the tools to begin to fix your problems. Like anything that’s related to a free thinking, feeling, animal we like to work things through, test the waters, we need to know we’re on the right path. Our dogs are the same: trust, respect and acceptance come in waves. Learning to surf those waves and survive is key to our dogs’ survival in a world of a thousand treats. If there’s not an effective leader the dog recognises willingly it will take on the role itself in a human world it doesn’t understand. We teach survival skills before ‘dog training’. Get a pack animal to follow a leader that’s powerful stuff, after that – dog training is easy peasy. Your dog already knows what it’s doing and why. I will help you understand why your dog does what it does then offer a better solution to resolve the breakdown in communication. Information out of context is often at the core of the issue. Getting everything in the right context offers us the ability to understand our dogs and get it right for them to respond positively to our requests. We like simple, we like easy, we like effective and we like stress free – otherwise I wouldn’t do it. It’s simple – My contact details are on every page. It’s easy – call me or email me, we’ll have a chat about you and your dogs. It’s effective – I’ll give you choices, where do you want to go from here? It’s stress free – What it costs, how it works, how your back up works are all on my Consultation page. I respect your privacy and all enquires are in the strictest confidence.